Epiphany Pilates was founded by Eurona Tilley, PMA®-CPT, to share her passion for Pilates with others. Simply put, Pilates transformed Eurona’s life and she believes it can transform yours too. Eurona was introduced to Pilates in December 2005 at the Tamara Di Tella Pilates studio in Asuncion, Paraguay. Although she was overweight at the time, Eurona quickly realized that Pilates was the total body conditioning program that she had been searching for in a quest to lose weight. Not only did Pilates help her regain strength and flexibility, it enabled Eurona to make the connection between her mind, body and spirit. This epiphany allowed her to adopt a whole body approach to health and wellness, and ultimately lose weight. Today, Eurona’s goal is to help others achieve their fitness and rehabilitation goals through Pilates. She firmly believes that Pilates is for everyone; and, she strives to make her classes comfortable and inviting for a range of fitness levels while introducing progressively challenging and engaging exercises. Eurona received her Pilates training through BASI Pilates®, a leading Pilates education academy, with a reputation for innovation, dedication and academic excellence. She is a certified Prenatal & Postnatal Pilates Specialist with The Center for Women’s Fitness and she received her barre certification through Booty Barre®. In addition, Eurona is a Certified Pilates Teacher (CPT) by the Pilates Method Alliance (PMA), the international, professional association for the Pilates community. Jennifer Fulton was introduced to Pilates in 2014 at Epiphany Pilates and quickly became a part of the fiber at the studio. In fact, her beautiful smile and passion for the work are a staple during our BootyBarre® Plus, BootyBarre® Flex & Flow, Pilates Mat, and Reformer classes. As a full-time teacher, Jennifer found it difficult to prioritize fitness and stay engaged in an exercise program. She tried the traditional gym routine and personal training sessions. It wasn't until discovering BootyBarre® classes at Epiphany Pilates that she truly became excited about exercise. She loves the blend of dance, Pilates, and yoga principles that BootyBarre® features, and she also loves how she can continue to challenge herself and set and achieve new goals. She became a BootyBarre® instructor in 2015, and she began her journey to becoming a BASI Pilates instructor in 2016. Barre and Pilates have enabled Jennifer to achieve greater physical and mental health and well-being, and the workouts provide great stress relief while helping her manage her asthma and chronic migraines. Jennifer is passionate about helping others discover the many life-changing benefits of barre and Pilates. Arianna Tilley has grown up at the barre! Arianna has been dancing since age 3, studying ballet, jazz, modern, tap and folkloricó in Paraguay, the Philippines and Northern Virginia. She is the founder and co-captain of her high school dance team and performs locally with the Synetic Theatre Teen Company and the Summer Theatre Program. As one of our first clients, Arianna is ecstatic to be joining the Epiphany Pilates team as the Teen Barre instructor. 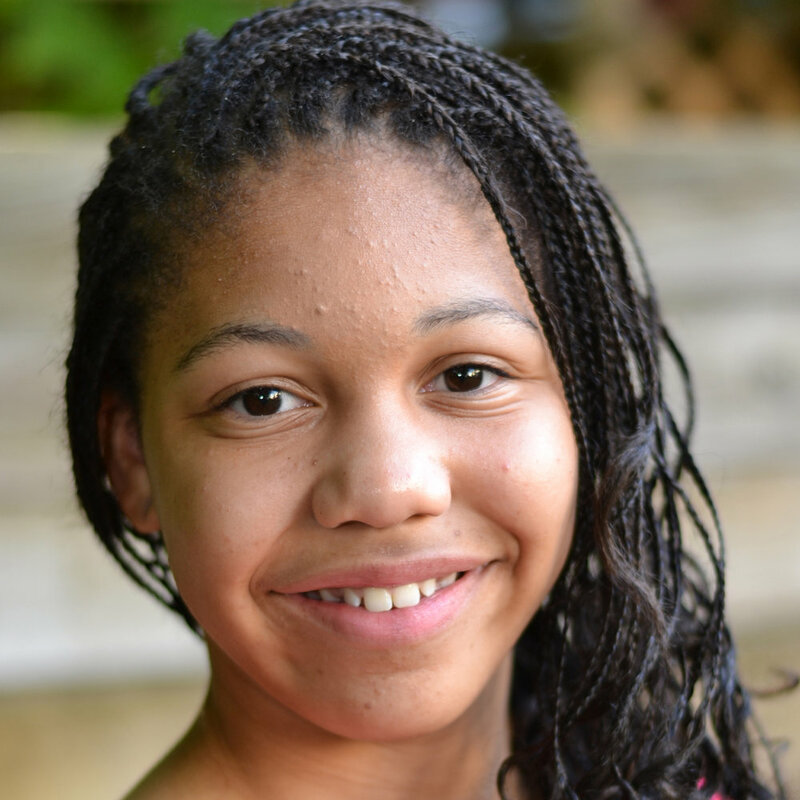 Her goal is share her love of dance and fitness with other teens throughout Northern Virginia. Deedhiti “Dee” Valanki started practicing yoga as a child with her father in India. Later, she moved to the United States (Pittsburgh, PA) and took her first Hatha yoga class. In 2009, she also began practicing Dharma, Ashtanga and Vinyasa flow yoga. Her passion for yoga led Dee to complete the Vinyasa 200-hr teacher training program at Inner Power Yoga in Potomac Falls, VA. She enjoys teaching a wide-range of clients and spreading her deep love for yoga throughout Northern Virginia. Dee looks forward to meeting you on the mat at Epiphany Pilates! Rosemary Fatovic found yoga in 2002 as a way to stretch and relax after a difficult cardio workout. She was spending as much as six days a week either running, cycling or lifting weights. Rosemary received her indoor cycling certification in 1999 and was teaching as many classes as she could fit into a week. She quickly found that she was over training and not recovering well. However, at the time, yoga always seemed too slow and not “hard enough” of a workout. It didn’t take long for her to discover all of the amazing benefits of yoga and she made the huge decision to get her Registered Yoga Teacher (RYT®) certification. At the age of 63, she sat in a studio for 200 hours with young women half her age and learned as much about herself as she did about the teaching of yoga. Rosemary is honored and so excited to begin teaching at Epiphany Pilates. She finds true joy in teaching and helping others find their strength and inner peace through yoga. Kendra Reid began her Pilates journey over 8 years ago and started training as a comprehensive Pilates instructor in 2016. Born and raised in the midwest, she has always loved movement – from ballet classes as a child; competitive sports as a teen; to cycling, kayaking, and running as an adult. She completed her first half marathon in 2012. Kendra earned a Bachelor of Science in Occupational Therapy in 2003 and initially began working with adult and geriatric populations. However, with a specialization in sensory processing disorder and developmental disabilities, the majority of her work has been centered on the pediatric population. Kendra recently moved to Northern Virginia with her husband and 3 sons. She looks forward to sharing her passion for movement to the Epiphany Pilates community. Kendra firmly believes that Pilates is for everyone and is enthusiastic to share her knowledge of the strength, flexibility, and overall well-being that Pilates offers. Susan Maneechai began practicing hot yoga 13 years ago after a chance encounter with the owner of a new Bikram yoga studio while walking her dog. Since the location was within walking distance from her home, there was no excuse not to try it. Initially, she viewed her yoga practice as a way to find 90 minutes of “me” time while raising two children; but as time passed, yoga became a vital part of her life to release the stress of balancing family needs with her return to full-time work as a middle school English teacher. Since teaching is a love of hers, she began thinking about sharing her joy of yoga as a moving meditation with others. So in February 2016, Susan enrolled in a 200-hour teacher training program. She followed that with a six-month internship at Blue Nectar, where she taught community vinyasa yoga classes. Susan maintains her ties to the education community by teaching a yoga class at a local middle school as a part of their after school program, as well as special classes for the teachers. 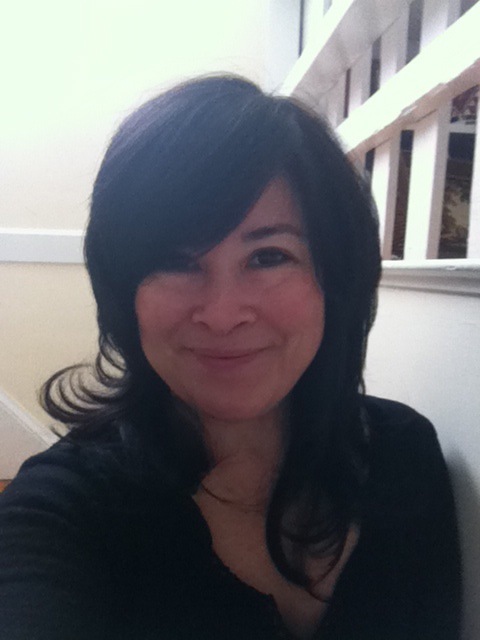 She is thrilled to join our team at Epiphany Pilates to continue to share her love of yoga with others. Mary Kearns began her yoga and meditation journey at age 11. On and off over the years, she practiced many different styles until 2004, when a friend introduced her to Bikram Yoga. She was a Bikram devotee until 2010, when she discovered vinyasa flow, a fluid style of yoga that she found both enjoyable and challenging. Wanting to share her love of yoga and meditation with others, Mary decided to purse her 200-hour yoga teacher training and 20-hour children’s yoga training, which she completed in 2017. Called to be a healer long before then, Mary earned a PhD in Developmental Psychology, focusing on how bio-psycho-social factors influence healthy human development throughout the lifespan. Mary has a passion for helping people of all ages develop mind, body and spirit wellness, and designs her yoga classes to nourish all aspects of the individual. Banna Skidmore, PMA®-CPT, brings a deep curiosity and endless enthusiasm to each of her classes. Her Pilates journey began after seventeen years of studying dance. 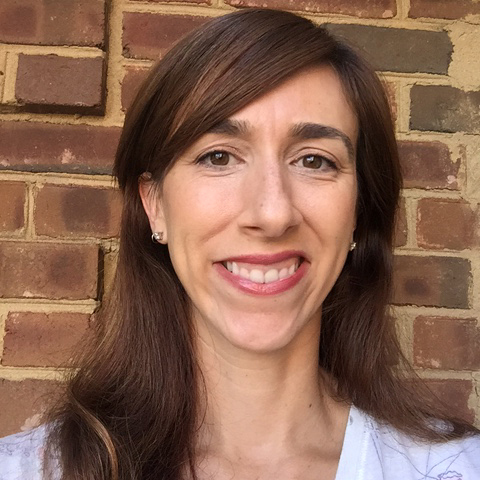 Banna has taught Pilates in the Washington, DC metropolitan area since 2004 and is a certified Pilates teacher through the Pilates Method Alliance. She received her training through the Physicalmind Institute and the National Academy of Sports Medicine; she also completed Level One training for Yoga Fit. Banna is most interested in teaching people how to cultivate optimal posture and how be at ease in their own body. When not teaching Pilates, she spends time on her bike or hiking in the Shenandoah Valley. Pinling Lin is a trained BASI Pilates Instructor with a BFA in dance from New World School of the Arts, University of Florida. In 2016, she also became a qualified CoreAlign instructor from Balanced Body. After 20 years of combined dance training and career, she suffered from a number of spinal injuries. After years of intensive medical care, she was very lucky and grateful to find that Pilates serves an important role in her rehabilitation. She is a big believer that Pilates truly connects body and mind, allowing awareness of the overall balance in one's daily life. Pinling has been living in a pain-free state for a while now after adding the Pilates method to her regimen. 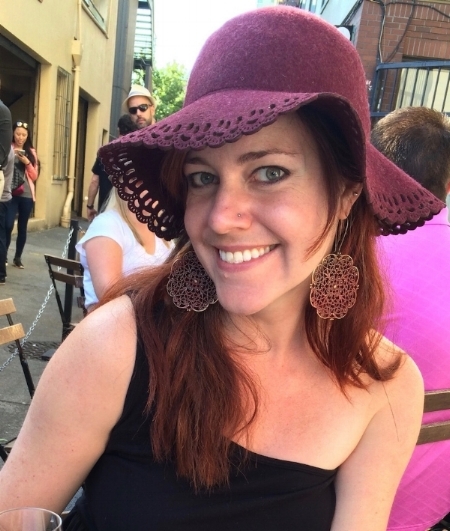 She has been teaching Pilates and CoreAlign as her full-time job and life's passion in the Metro DC area, where she focuses on movement, body awareness, and rehabilitation for people who are recovering from injuries or who just want to stay healthy and strong. Meri Bauer began taking Pilates reformer classes during a pregnancy, and was inspired by the effectiveness of the exercises at helping her strengthen and tone before and after she became a mom. Pilates fundamentally changed her own relationship to her body by increasing her ownership over her physical health and improving her capacity for self-love. She loves to help her clients feel strong and beautiful and improve their lifelong awareness of the body-mind connection. She is passionate about the benefits Pilates programs have on the health, wellness and confidence of people of all ages, body types and skill levels. She has a background of study in anatomy and pathology, and a comprehensive understanding of the repertoire of exercise routines. Meri is a recent arrival from Seattle and also teaches college English classes. Our ability to maintain our reputation as Northern Virginia's premiere Pilates studio is directly related to the enthusiasm, performance, dedication and loyalty of our incredible team. If you are interested in exploring employment opportunities at Epiphany Pilates, forward your resume and tell us a bit about yourself by clicking Join Our Team above.